Consultant: Roger L. Brown, Ph.D.
B.S. Degree, May 1974, University of Wisconsin. Major emphasis: Behavioral Measurement and Statistics, Minor emphasis: Occupational Health. M.S. Deqree, May 1975, University of Wisconsin. Major emphasis: Behavioral Psychology/Measurement Minor emphasis: Statistics. Ph.D. Degree,December 1978, University of Wisconsin. Major emphasis: Educational Psychology Research Methods and Analysis, Minor emphasis: Epidemiology/Applied Statistics. Post-Doctoral Study Program, 1984-1986, University of Wisconsin, Major emphasis: Structural equation modeling, statistics & methods. Post-Doctoral Study Program, 1990-1991, University of London, England, Major emphasis: Multilevel Statistical modeling. Princeton University 1982	Area of Study: Survival analysis and multivariate graphics. DePaul University 1984	Area of Study: Factor and cluster analysis. Johns Hopkins University 1984	Area of Study: Epidemiology. Marquette University 1985 Area of Study: Nonparametric statistics. SPSS Institute Chicago 1984	Confirmatory factor analysis. Amer. Statistical Assoc. 1985	Regression techniques. Amer. Statistical Assoc. 1986	Bootstrap techniques. Amer. Statistical Assoc. 1986	Categorical analysis. Amer. Statistical Assoc. 1986	Nonparametrics. 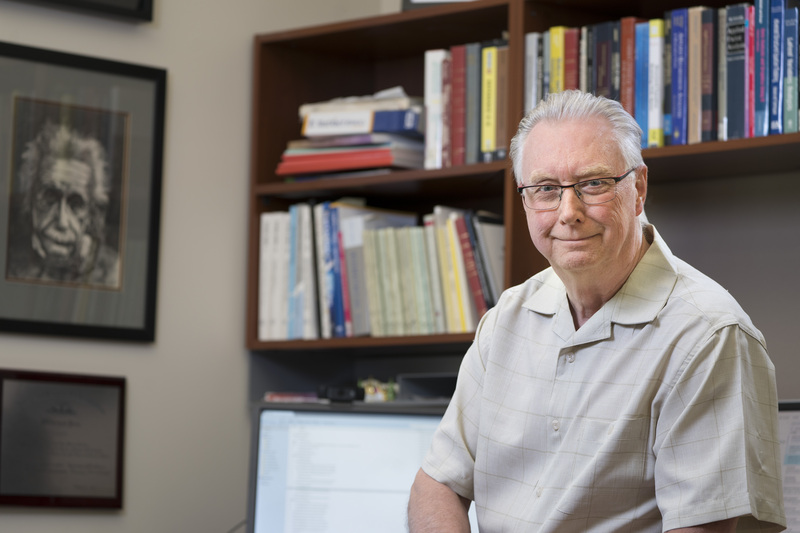 AREA OF EXPERTISE: Structural equation modeling, hierarchical linear modeling, applied statistics, research design techniques, quantitative methods in health and behavioral systems, epidemiologic research methods, Meta-analysis and Meta-regression, statistical and design consulting, learning theory, computer systems development, internet development, and computer programming. 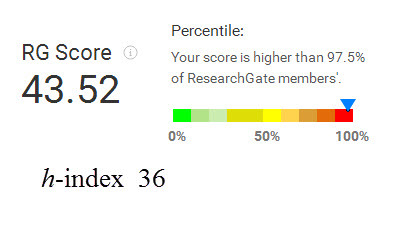 The RG Score is a metric that measures scientific reputation based on how all of your work is received by your peers. We believe that fellow researchers are the best judges of each other's work, and that all your research, published or not, deserves credit. With this in mind, your RG Score is based on how both your published research and contributions to ResearchGate are received by your peers. A contribution is anything you share on ResearchGate or add to your profile, from published papers and questions and answers, to negative results and raw data. Our algorithm looks at how your peers receive and evaluate your contributions and who these peers are. This means that the higher the scores of those who interact with your research, the more your own score will increase. In contrast to more traditional metrics, the RG Score focuses on you, an ever-growing community of specialists, and puts reputation back into the hands of researchers. The h-index is calculated based on two bits of information: the total number of papers published (Np) and the number of citations (Nc) for each paper. It is defined by how many h of a researcher’s publications (Np) have at least h citations each. This means that if you have one publication with at least one citation, your h-index is 1, if you have two publications with at least two citations each, your h-index would be 2, and so on. On ResearchGate, you'll see two separate h-indices displayed for each author. The first metric is an h-index that includes self-citations. The second h-index displayed excludes self-citations so that anyone looking at the numbers can compare them and quickly gauge whether other authors are paying attention to a researcher's work. Please note: The h-index takes into account only citations of your work from scientific literature, reflecting impact in the scientific community. Furthermore, it is calculated based on the publications in your profile.